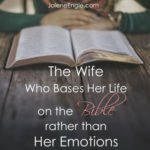 I didn’t expect so much response and emails from wives whose husbands are not leading their families, therefore, this topic is turning into a little series! 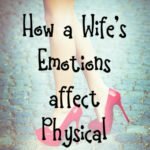 If you’re new here and you’re dealing with this issue in your marriage then you’ll want to start reading the following posts. 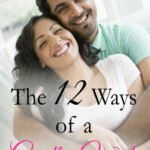 Today’s post I’m covering the husband who doesn’t want to lead his family regardless of his personality. 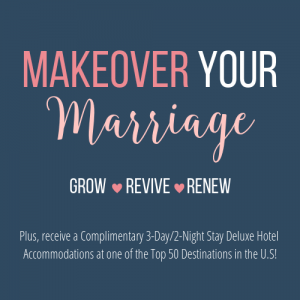 This husband can be facing some or all of the issues below which could be causing him to stumble in his God-given role as the head of the home. He’s lazy and he’s going to take the easiest path to do what makes him happy regardless of the state of his family. He had a poor role model or no role model. He has a contentious wife. 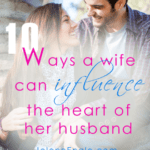 The husband gets constant resistance, criticism, and lack of belief in his abilities to lead. He was told that he was no good and wouldn’t amount to anything. 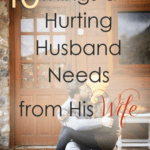 He’s lacking confidence in who he is as a man, husband, father, and provider. Maybe life has knocked him down so hard that he doesn’t know how to get back up or he’s just too tired to keep trying. He’s done with trying to change. 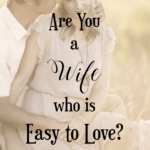 He’s lost hope in either his leadership abilities or he doesn’t believe his wife will submit to him, therefore, he has stopped trying to lead her. Apathy has set in. Depression and despair are quickly becoming his closest friends. My heart hurts for this broken husband. I see him as drowning in life and in need of a life preserver. However, I don’t feel bad for the lazy husband, which is the one I’m discussing today. If you think your man falls into the lazy category then keep this in mind…We are all lazy! In my mind I’d like to think I’m more diligent than what I really am but I know the truth about myself. I can be extremely lazy doing just what I need to do in order to get by. Like the laundry sitting there a little bit longer than it should. Oh, and I can’t forget about how long I let a pot soak in the sink! So before you look at the speck in your brother’s eye, take out the plank that’s in your own eye. (my paraphrase). In other words, I have sin running through my veins just like my man does. Yep, that’s a convicting verse, isn’t it? I personally don’t really care for it because it bothers my flesh, but regardless of how I feel, I want to be obedient to the Lord! Therefore what I try to do in my marriage is keep my eyes half-closed. Here’s what I mean by that. I try not to notice my man’s specks, (sin). Of course we all have specks, I personally have an entire lumber yard residing in me, however, it’s best for a wife to let the Lord deal with her husband’s issues. 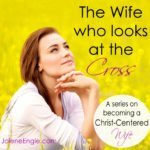 (Maybe you’re wondering if a wife should ever confront her husband’s sin? The answer is yes. Learn more here. Some things in your marriage you just have to let go. Does it really matter if he doesn’t pick up around the house as much as you’d like? By the way, I used to have this issue, but then I came to the realization that I didn’t marry my man because I wanted a helper to help me to keep the home! Instead, I just lowered my expectations and standards of cleanliness and order. 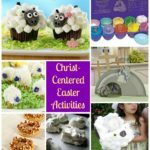 Being that I have a tendency to be obsessive/compulsive and add to that, a perfectionist, those things can be a recipe for disaster for my marriage. 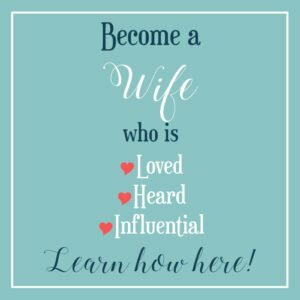 Instead, I chose the path of building up my home (husband) rather than tearing it down with my hands. I’ve done this for two reasons. One, because God’s Word says to do it. And two, truth be told, because I’m selfish. Hey, what can I say, I want a glorious marriage! I want to live with my man in peace and harmony not strife. I grew up in strife and quite frankly, I’m a little sick and tired of it. 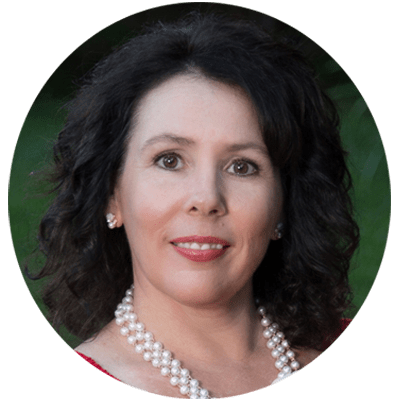 Therefore, I’ve chosen to work at having a deeper and stronger marital relationship rather than examining my husband’s sins, as well as, having a cleaner home or what have you. But again, I have to remind myself to let things go. It’s a constant mantra of mine! In fact, as I sit here typing these words out, I can count 4 pairs of shoes that my husband alone has left sprawled out on our tiny living room floor; shoes that I’m constantly stepping over. Instead of getting disgusted and angry over the fact that he has left his shoes out all over the place, I choose to ignore it. 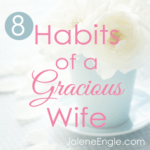 So let things go, friend, and be gracious to your man. 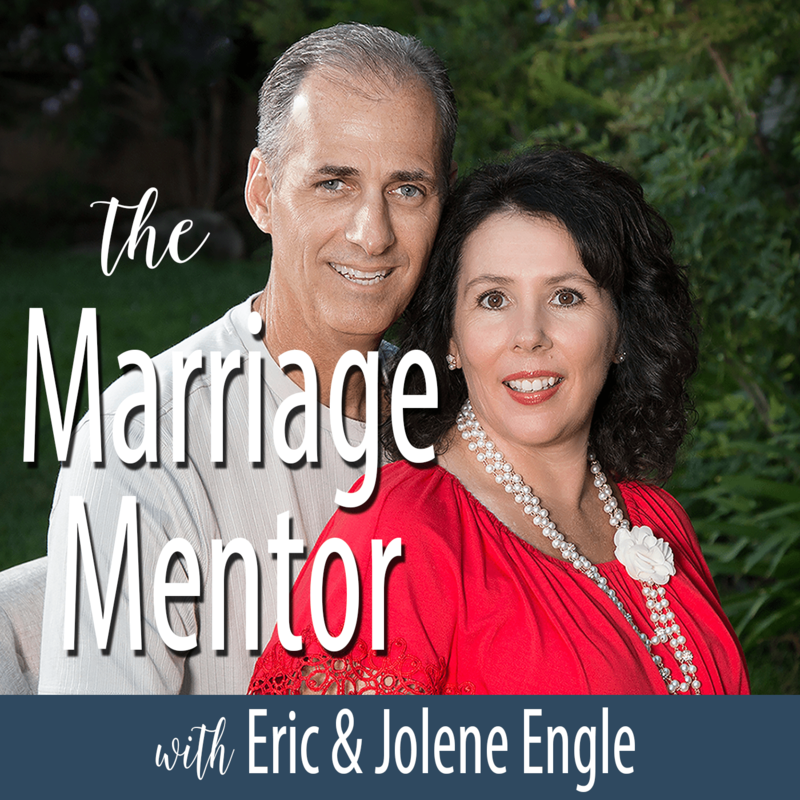 Your relationship will be better off as a result of this practice. Thank him for what he does do. Encourage him in areas that he is already soaring in. Let him know you admire such and such quality about him. 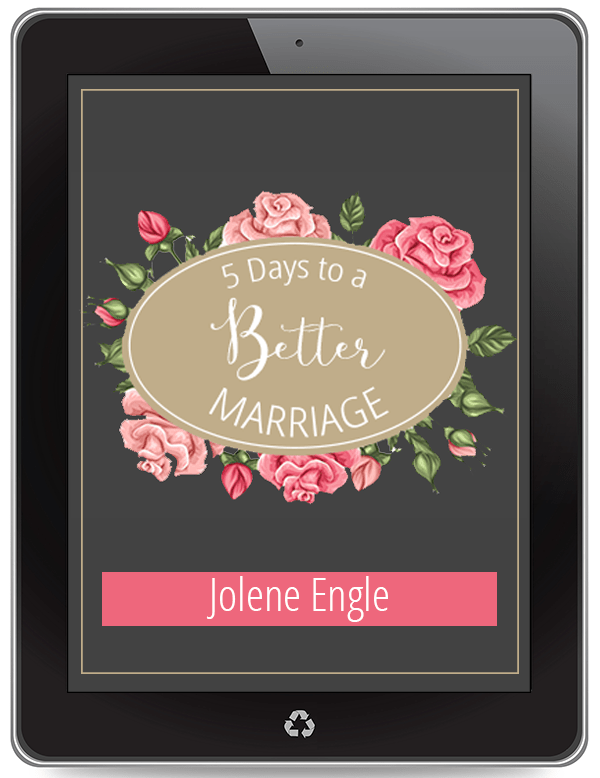 By building him up, he may have more of a desire to want to better his marriage with you and thus, that’ll entail leading. But only if you allow him. Pray for God to convict his heart to lead your family. And, if you want him to step forward to lead, you’ve got to step back more. 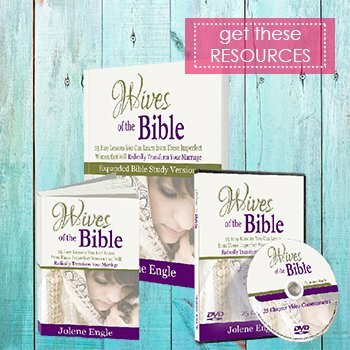 Keep turning to him and asking him how he wants things done in your family life. But here is where it gets really hard….Your timing will not be his timing. Your expectations and standards will not be his and what you’re concerned about probably won’t concern him. Have non-emotional conversations with your man so the two of you can get on the same page. Next up, I’ll discuss how you can help the Broken Husband that I mentioned above. Now it’s your turn. 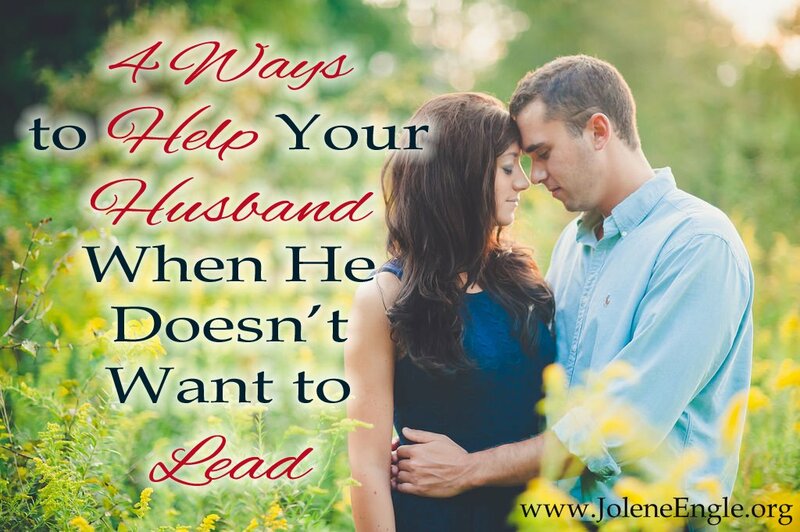 What else can you do to help your man lead when he doesn’t want to? Leave a comment below so we can all benefit by it! 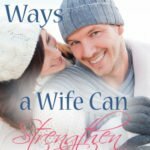 When you say for the wife to step back for him to step forward, can you maybe give an example or two of ways the wife can do this?